Medical malpractice is professional negligence by act or omission by a health care provider in which care provided deviates from accepted standards of practice in the medical community and causes injury or death to the patient. 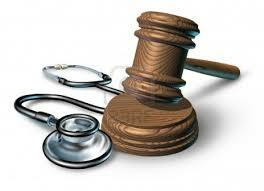 Standards and regulations for medical malpractice vary by country and jurisdiction within countries. The consequences of medical malpractice can be deadly. When the physicians fail to do their jobs correctly., this may causes a harmful result for the patient and for his family. The consequence of medical negligence may verities, such as the patient may become injured, or he may die or infirm or he may lose any one organ of his body or he may face pecuniary loss or damages etc.